First up is a paperback from 1964. 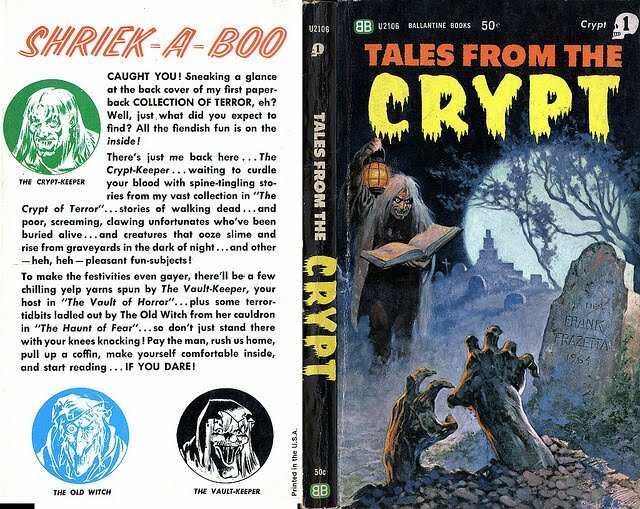 I don't personally own this one but I understand it contained reprints of EC comics stories from Tales from the Crypt, Vault of Horror, and Haunt of Fear. I really need to get a copy of this. LOVE the cover! This is the poster for the 1972 Amicus film, Tales from the Crypt. I LOVE this movie. 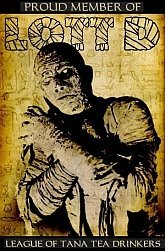 One of my favorite anthology movies. 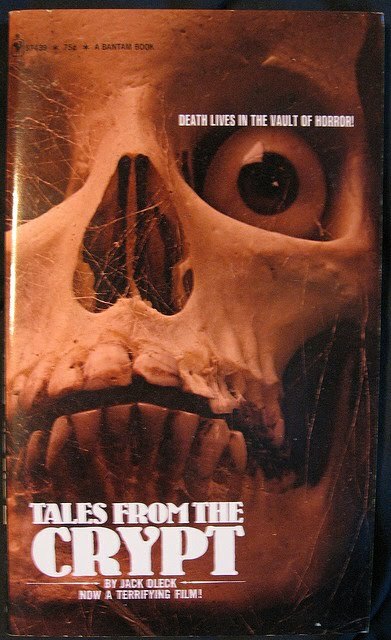 Here's the VHS cover for that movie. 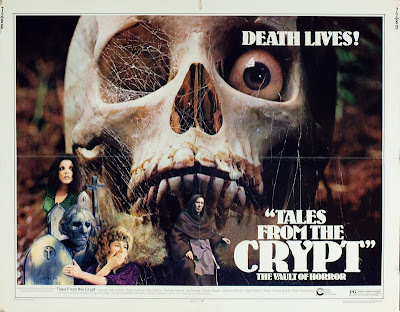 I still have my vhs copy of this one, as well as the new DVD double-feature that came out last year from Midnite Movies with this movie and the Vault of Horror on it, another fun Amicus anthology movie. 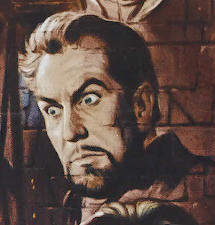 Next up is the novilization of the Amicus film. This is another paperback I need to track down. GREAT cover. The eyeball in the skull really makes it pop. I think it's neat that you see the same imagery used throughout the various memoribilia from this campaign. and lastly here's a couple of cool lobby cards from the 72 film - boy Joan Collins was smokin hot when she made this movie!! 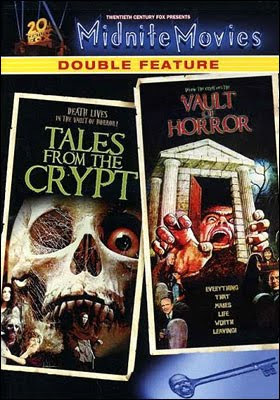 I've never seen Vault of Horror, is it any good? It is a good little movie, though not as good as Tales. Definitely worth seeing though!